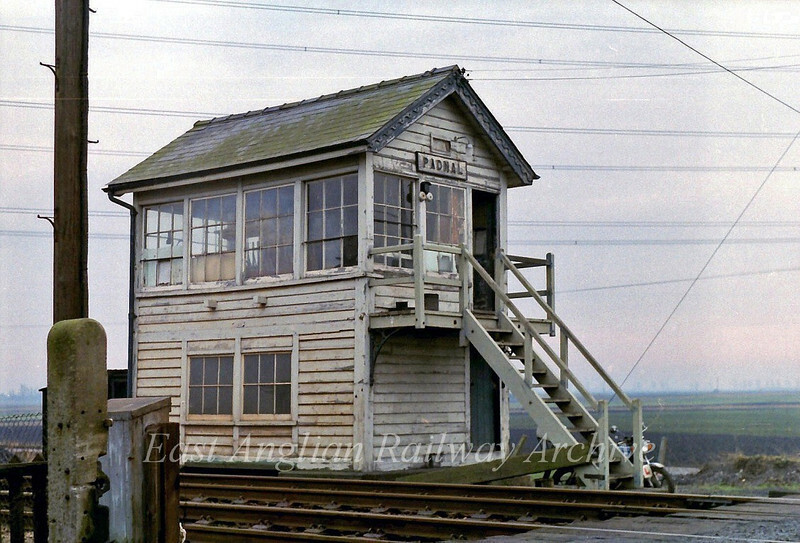 Padnal Signal Box between Ely North Junction and Shippea Hill. The box was destroyed by fire when the stove was left alight. The backdrop is of a typical fenland landscape where the surrounding flat fields are below the level of railways and roads. Photo dated 29th January 1980.